Things appear to be back on track for the Kroger at Embry Village. 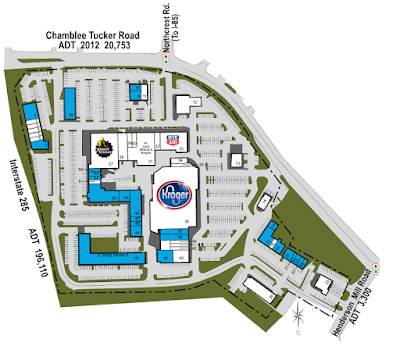 An updated siteplan was recently released on the property's website showing a 102,877 square foot Kroger as well as a new eighteen pump fuel center. The store, first announced in 2016, was expected to be 120,000 square feet along with the aforementioned fuel center and was to have opened in 2017. The store has been delayed to the point that its timeline seemed indefinitely postponed or even cancelled. Had the store never opened, it would have been especially disappointing to patrons of the S&S Cafeteria, a local institution that was forced to close in 2016 after over 40 years in business. "We are scheduled to begin with the project by the end of January 2019." Turner further added "At this point the plan is for a Marketplace store. That is subject to change as the project progresses." Turner indicated he was not yet able to confirm any other specifics of store - offerings, size, reason for delays, etc. - but promised to share those details as soon as they become available. A January 2019 start to the project would suggest an opening in 2020 is feasible. Strangely, real estate firm Kimco Realty, which owns and manages Embry Village, seems to contradict even their own updated siteplan with verbiage on their site. 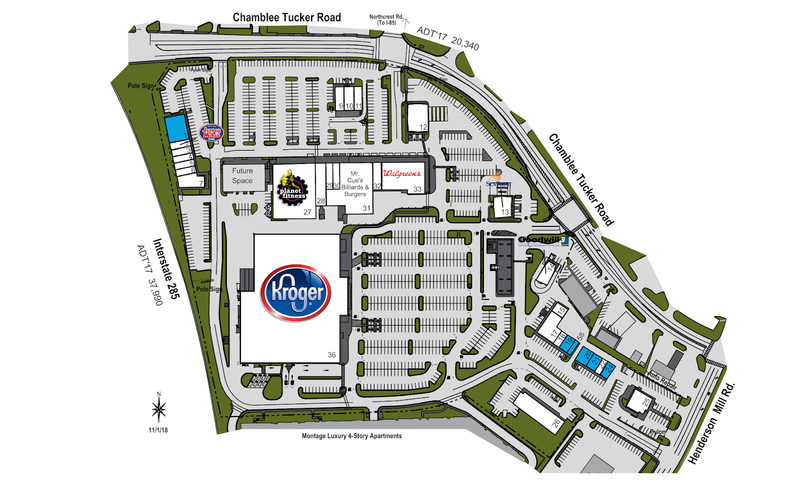 "Embry Village is under redevelopment to expand Kroger to 120,000 square feet for a new Marketplace concept store. The complete site renovation will include 9,900 square feet of new shops next to Planet Fitness in 2020." 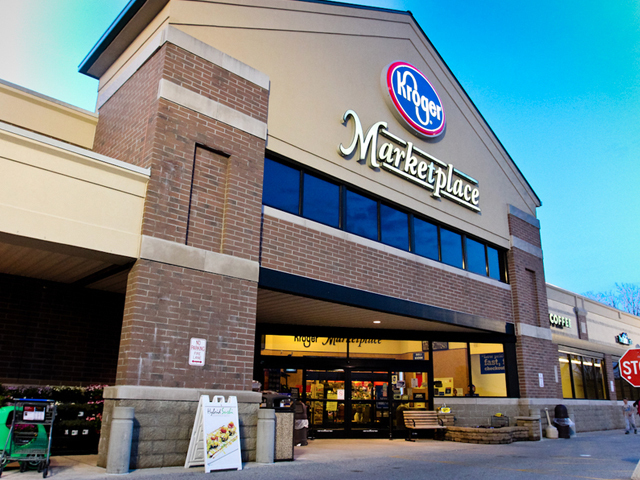 A Kroger representative previously stated that Marketplace stores are characterized by those that are 113,000+ square feet but new information suggests that Kroger stores as small as 100,000 square feet may still receive the Marketplace designation. Two features the Embry Hills store is almost certain to feature are a Starbucks kiosk and Kroger Pickup (formerly ClickList). Marketplace stores tend to offer a wider range of products such as clothing, small kitchen appliances and a Fred Meyer branded jewelry counter, among other offerings. Kroger operates a number of Marketplace stores in Georgia including those in Carrollton, Savannah, Gainesville, Dawsonville and Grovetown, all of which are larger than 113,000 square feet. The Kroger on Glenwood Avenue at Glenwood Place is 118,000 square feet and is referred to as a Marketplace store on the Kroger website, but does not feature the Marketplace banner at the store itself. The absence of a jewelry counter reportedly prevented it from "officially" being a Marketplace store. In recent years the company has also enlarged existing stores, as in Brookhaven and Decatur, where the stores were expanded to 81,718 and 109,773 square feet, respectively. The company has also built new stores such as the roughly 82,000 square foot store at Lindbergh Place and the planned store at West Midtown Center, a new project behind IKEA, that is also expected to be 82,000 square feet. The large format, but not Marketplace stores, have previously been referred to in Kroger materials as "Kroger Bountiful" stores. Some stores however, like those in Fountain Oaks shopping center in Sandy Springs and Howell Mill Square in Atlanta, are currently undergoing extensive renovations but are not being enlarged. In addition to the upcoming Kroger and 9,900 square foot building, Embry Village has in recent weeks welcomed a couple of new restaurants. Your Pie, an Athens-based quick serve pizza franchise, opened in the center, and more recently, Wayback Burgers, a Cheshire, Connecticut-based quick-serve burger joint, opened next to Moe's Southwest Grill along Chamblee Tucker Road. 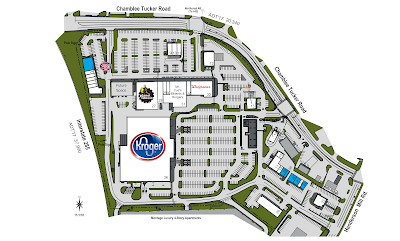 Are you excited for the planned Kroger enhancements at Embry Village? What other shops or restaurants would you like to see open in Embry Village? Have you been to the new Your Pie or Wayback Burgers restaurants? No excitement here. Plenty of other grocery stores that did not force the closure of an old school unique eatery. Frankly, I am so tired of this! Just be patient with this process .please.. It's going to happen and that is something to look forward to. ..some of you people are so negative and "drama-driven".. While I like a grocery store that has a great variety of items, I don't need one as huge as a true Marketplace. I'll never say to myself, hmmmm, I need a diamond ring. Where should I get it? KROGER! I think the Marketplace concept is great for more rural or exurb areas, but it's totally not needed in the suburbs. For the folks who live in the Embry Hills area, I do hope this project progresses. Many businesses in the area can definitely use a facelift. I hope the new Kroger will get a Murray's cheese counter. And looking forward to the gas pumps. Interesting in the new siteplan is that Walgreen's is shown replacing the RiteAid. Kind of excited to see what it will be like. We don't get a lot of new stuff on this side of town. I'm mainly a Publix Shopper but go to that Kroger some. Hope they keep the Bank of America branch in the Kroger. Starbucks will be great addition. I plan to try the new pizza place but haven't yet. I don't miss S&S, but I also don't care about any of their plans except the gas pumps. If they figure out a way for the Sbux to have a drive through, it should do well. Maybe it'll have Kroger's first combination pharmacy/Starbucks drive through. Is the planned Kroger at 17th and Northside really happening? I shop the Howell Mill store and if you ask the employees what's going on, they have no info to share. Whether you like it or not, it is an improvement. The only thing known about the future is change. Now, how are we able to welcome this new and improve Kroger to Embry Hills and make it part of the community because the only thing I worry about is crime. I'm looking forward to it. Anything that is a facelift to the area is a good thing. This center should to hire private security. Too many people asking for money and hanging around. People need to feel safe. During the day its ok, but at night it can get sketchy. On 11/30/18, Fantastic Sam's employees were told that morning that it would be their last day and they closed that day - very sad because I have been going there for years and I feel bad that the employees didn't receive notice. If this does move forward, the best part, to me, will be the addition of the gasoline pumps - it will be nice to have a Kroger gas station nearby in order to receive discount on gas prices. Glad to hear this is going through and I'm hoping for a bigger health food section. Well, March 1st and nothing yet?